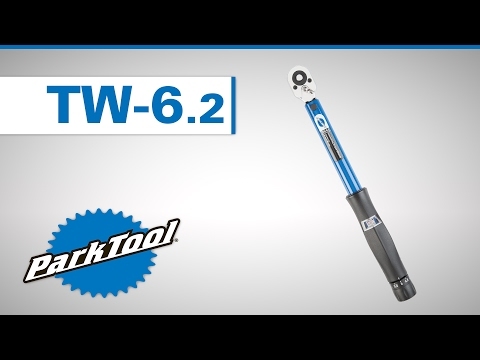 Park Tool TW-6.2 Torque Wrench-3/8"
When working on high-end, lightweight components, having the right tool for the job is a must. This high quality, ratcheting, click-type torque wrench is ideal for high-torque applications like installing bottom brackets or cassette lockrings. 10–60 Nm range (88–530 inch pounds). Adjustable in 0.25 Nm increments. Reads and registers for both left hand and right hand threading. Dial-adjust system allows desired torque setting to be pre-set. Calibrated to be accurate to +/- 4%. Includes a hard protective case. Note, torque wrenches are measurement tools and shouldn't be used as a general-purpose ratcheting driver.